Delivering your company news creates business traffic. 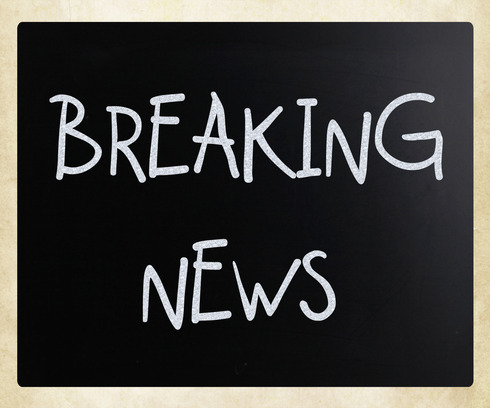 Now that you know what is newsworthy in your business (see post on what kinds of information to announce), you have to decide how you’d like to distribute your press release. There are numerous sites to choose from and which site you choose really depends on a number of variables –starting with budget. The difference between free and paid for press releases is typically the SEO value and the quality of the sources the release is distributed to. Other items that can impact the cost of the release is adding in other online links for SEO Value, release date options, and other enhancements including the ability to add in image as well as syndications or traditional journals. When you’re reviewing the various options available, you’ll want to consider the reach that is appropriate for the topic at hand. In order to get the biggest bang for your efforts, be sure to consult each site’s FAQ section as well as their recommended styling for press releases. Each site will have a press release format as well as stipulations on the total number of words in the release. I’ve included a list of a several sites here, both free and paid for sites. I’ve also added some additional information that will help you determine which sites you might like to use depending on your objectives. 1. PR Log is an online press release distribution and press release submission service. This is a free service and is quite easy to use. Simply follow the instructions on line. 2. Pitchengine offers both basic and professional plans. The most basic plan is free and the upgraded professional plans go up to $99 a month. The basic plans are perfect for small businesses and entrepreneurs and the professional plans are targeted at PR agencies. 3. PR.com is a Free Press Release Distribution Service where each business also has a full company profile to promote everything about its business. You can submit news and press releases to their global online news and press release distribution service to points such as AskJeeves News, Excite News, Topix.net, or MSN News. 4. 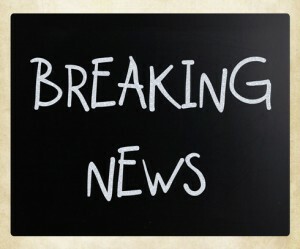 Press Release365 gives you a credit to try them out and that credit is equal to the entry level press release service. The entry level services run about $25 per release and that’s still extremely affordable for the kind of reach you can get for simply submitting a press release. Distribution package pricing services go all the way up to $99.95. 5. Press Release Forum is a bulletin board style release site that is organized by industry so that might be useful for reaching people who are researching a very specific topic. 6. Online PR News offers a $22 Basic Social Media Release (Social Media Links & Website embed). They also offer a Search Engine Visibility program for $79 that goes out to 40+ syndications and distribution partners and reporting is included in this service. The $349 service goes out to 150+ syndications and traditional journals. 8. PRWeb has also created several press release programs starting with a basic program to get you started all the way up to a premium program. $89 – Getting Your Name Out There; submitted to search engines & news sites; target five industries and two regions; real time reporting on pick-ups and impressions. $159 – Attracting Attention adds distribution to news outlets (30,000+ journalists and bloggers); social media sharing embedded. $199 – Drive Business; adds SEO and priority next day delivery of news; add 10 industries and 5 regions you want to reach; premium publishers like Scottrade.com, streetinsider, International Business Times. $369—This includes advanced features where your news goes to high-profile Associated Press sites as well as social sharing with advanced features like video. If it’s time to start using press releases in your business, pick one of the suggestions above and get started. If you’ve already enjoyed some of the benefits of using press releases, I’d love to hear about any of your experiences with the sites mentioned above. I am webmaster for Marketpressrelease.com Please include our site to your list of free PR sites. Here are some reasons why you may include our site to your list. Our site now has a Google page rank of 4, same as popular PR sites like PR.com. We also enjoy moderate traffic of around 2000 visitors per day. We have also recently moved to a virtual private server resulting in better user experience and response time. I swear that this site will remain free for ever (though we have to offer additional non intrusive services to make some buck). I kindly request you to include our site to your list of free press release sites. This information is really awesome and very attractive for me. Thanks for the sharing the information about article submission service. You’re very welcome. I’m glad you found it useful. And thanks for your comment. Thanks for checking out the list I’ve posted and for responding. I know my list isn’t complete so thanks for adding your comment and you’ll be added to my list of resources. Thanks for touching base. PRZOOM.com / Newswiretoday.com are both working well and ranks better than most of those 8 listed in this article. Thanks for the comment Anubix. This post was written some time ago and is due for an update as there are others I would also suggest using. Thanks for dropping by. We publish new posts almost every week. Enjoy!